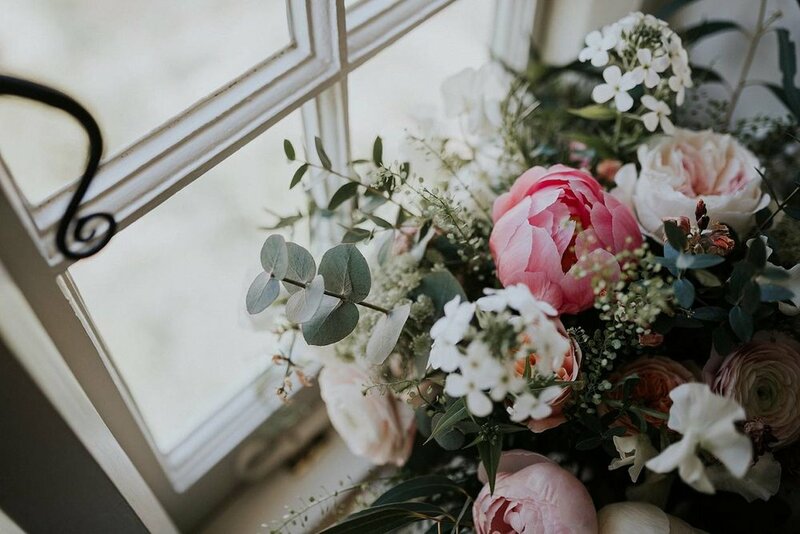 A late spring wedding set in Sussex with all the best flowers May has to offer in soft pastel colours with peach, mint and coral shades for contrast. 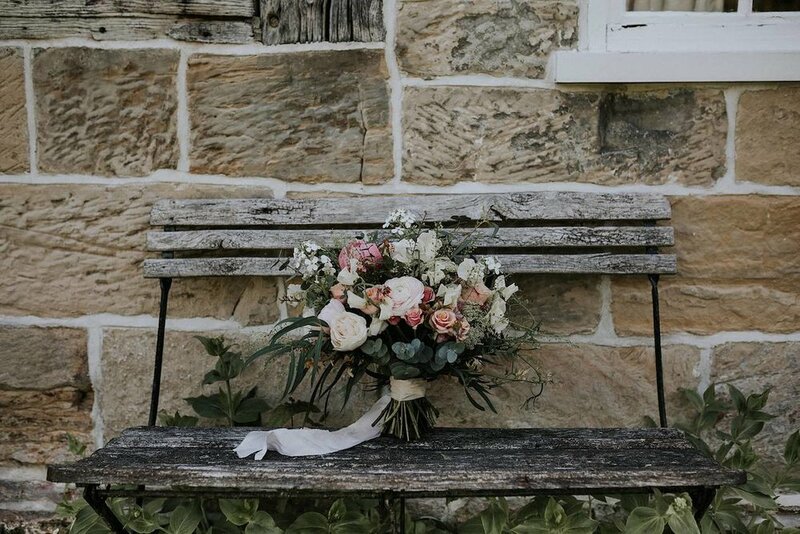 Soft weeping foliages created a fine romantic feel to all of the floral arrangements. 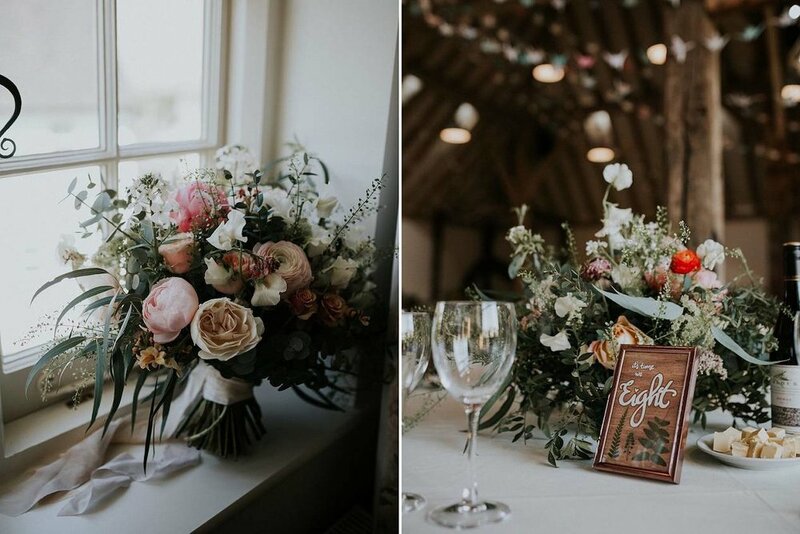 The couple's ceremony flowers featured a wild spring meadow aisle with individual low spreading style flowers, later transferred to their wedding reception at Kingscote Vineyard to create table centrepieces. 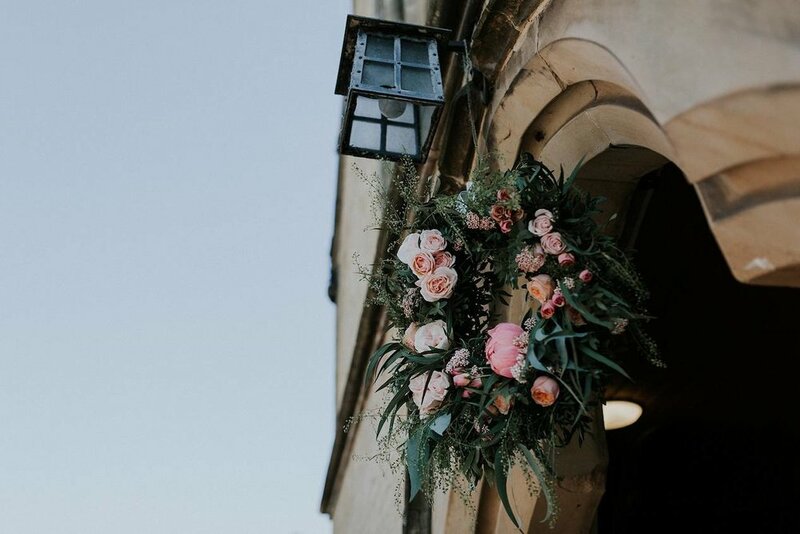 A large floral wreath greeted guests at the church entrance, which also featured at their barn reception.